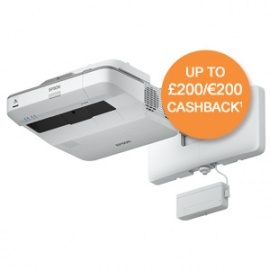 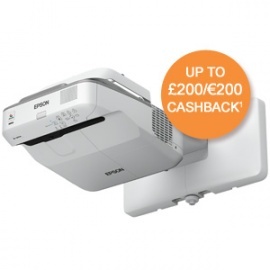 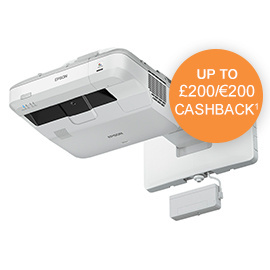 End users can trade in their old projector and receive €100 cashback when they purchase a qualifying interactive display from Epson1. 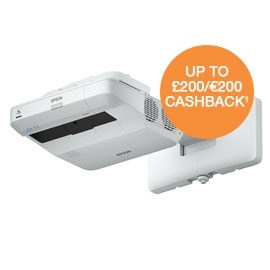 If they trade in an interactive whiteboard at the same time they will receive an additional €100 cashback1. Alternatively, end users can trade in their old interactive touchscreen (50" and above) and receive €200 cashback1. 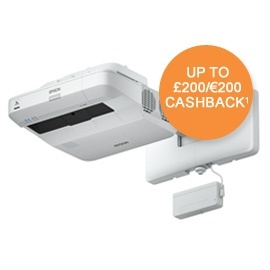 This offer is valid on purchases made between 01.01.2018 and 30.09.2018. 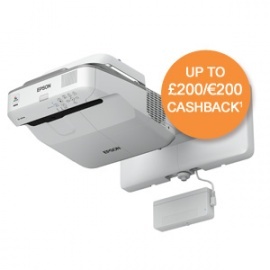 Epson’s latest range of interactive projectors are the ideal solution for classrooms and collaborative meeting rooms everywhere*. 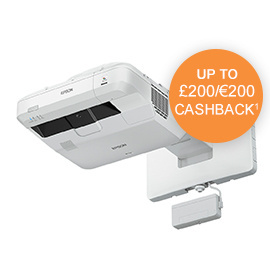 *Specifications vary by model. 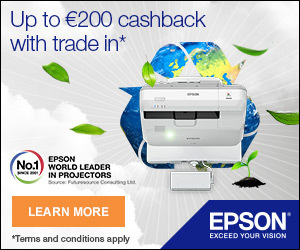 Please view detail of individual products to choose the best model for you.